Superdry men's camo tarp backpack. This practical yet stylish backpack features a large main compartment, complete with laptop sleeve, smaller front compartment for your everyday, smaller essentials, and twin side pockets, one with headphone cable routing. The padded mesh back and adjustable straps enhance comfort, while the top grab handle makes this backpack a great grab and go piece. 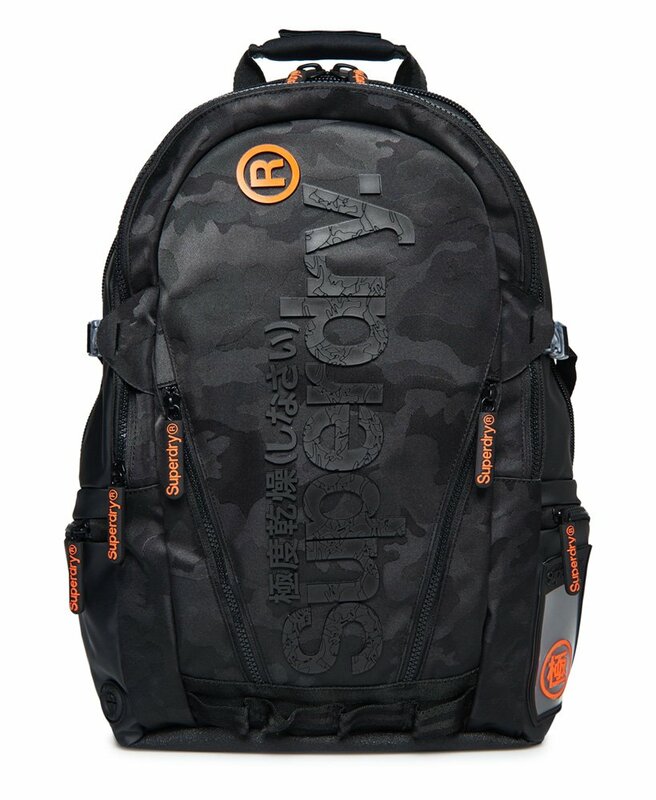 The camo tarp backpack is completed with a high build Superdry logo on the front, branded zip pulls and further logo detailing on the straps.